Ira Shirt in Red Safari by Rabens Saloner. 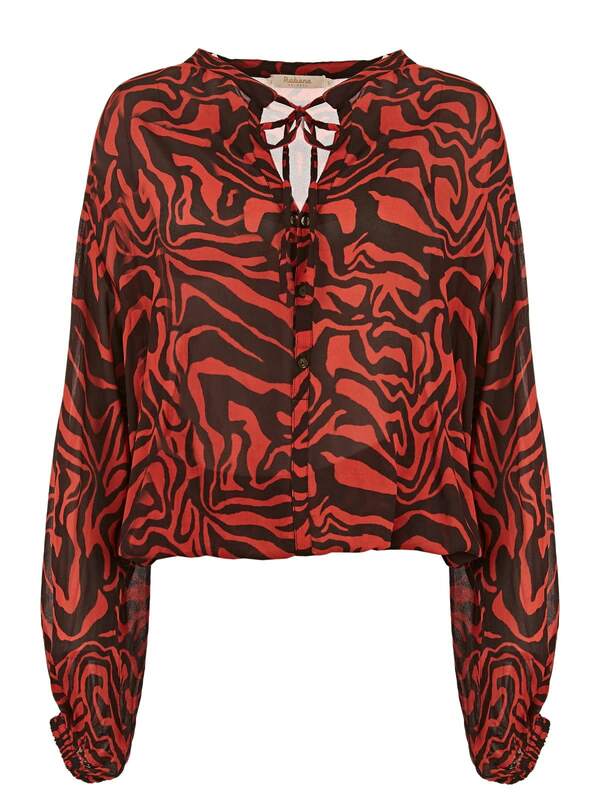 Chiffon blouse in a striking red and black animal print combo. The oversized fit means it is ideal for pairing with slim-fit jeans or trousers to balance the silhouette.